Carol J. Ratcliffe, DNP, RN, FACHE, associate professor in Samford University’s Ida V. Moffett School of Nursing and co-leader of the Alabama Health Action Coalition, has been appointed by Alabama Gov. Robert Bentley to the Alabama Health Care Improvement Task Force. The task force, created by executive order, will identify ways to improve the health of Alabamians, including ways to bring more accessible and affordable health care to residents of the state. “Improving access to care and the health outcomes of Alabamians is very important,” said Ratcliffe. “As a rural state, many of our people face difficulties accessing health care and live daily with comorbid conditions that are life threatening. Health outcomes are not improving and the cost of providing care is not decreasing,” she said. Of the 50 states, Alabama ranks 40th in primary-care physicians and 48th in dentists per 100,000 residents, she noted. The executive order also cites significant problems with inadequate health-insurance coverage and chronic conditions, with Alabama ranking among the top 10 states for rates of diabetes, obesity and deaths caused by cancer and cardiovascular disease. Task force members will receive additional information about expectations of the group at their first meeting on April 15. A few of the items they know they will address include access to care, poor health outcomes such as diabetes, use of telemedicine, scope of practice for nurse practitioners and physician assistants. Ratcliffe is one of 38 task force members. She received her doctor of nursing practice degree from Samford in 2009 and has served on the faculty of the Ida V. Moffett School of Nursing since 2010. She has an extensive health care leadership background and spent 16 years as a nursing and hospital executive in multiple large health care systems. According to Ratcliffe her “personal and professional conviction” is to influence health policy and practice by bringing a nursing perspective into decisions and highlighting the value of transformative change. Her leadership in politically charged opportunities that others were reluctant to address has resulted in health policy changes that have advanced national health care goals. Through national and international dissemination, these policies have resulted in patient-centered practice changes and unique models of care delivery. She collaborates directly with senior policy advisors, state leaders, and members of Congress and has provided legislative testimony and research to Senate and House Health Committees resulting in the passage of new laws and guidelines related to nursing practice. Ratcliffe is Board Certified in Healthcare Management and a Fellow in the American College of Healthcare Executives. 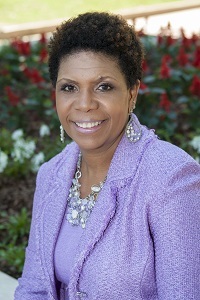 She has published, is a national speaker, and has received numerous awards and honors including the Ida V. Moffett School of Nursing Living Legacy Award and induction into the Alabama Nursing Hall of Fame.